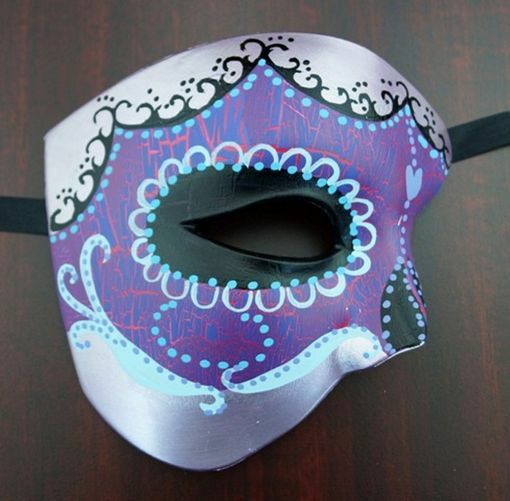 Day Of The Dead Phantom Mask is hand painted. Comes with ribbon ties. Color purple.